We're a week away from officially kicking off Fall and we've busted out our Halloween books around here, so I feel like its acceptable to touch on the toddlers in Halloween costumes topic. I'm pretty sure this is standard operating procedure for a 2.5 year old, but mine child is currently refusing to wear Halloween pajamas and changes his mind on what he wants to dress up as for Halloween every half second. This week alone he has wanted to dress up as a pirate, Buzz Lightyear, firefighter, and Nemo. Therefore I feel like I have to have a minimum of 3 costumes prepared, because who the hell knows which will float his boat a month from now. 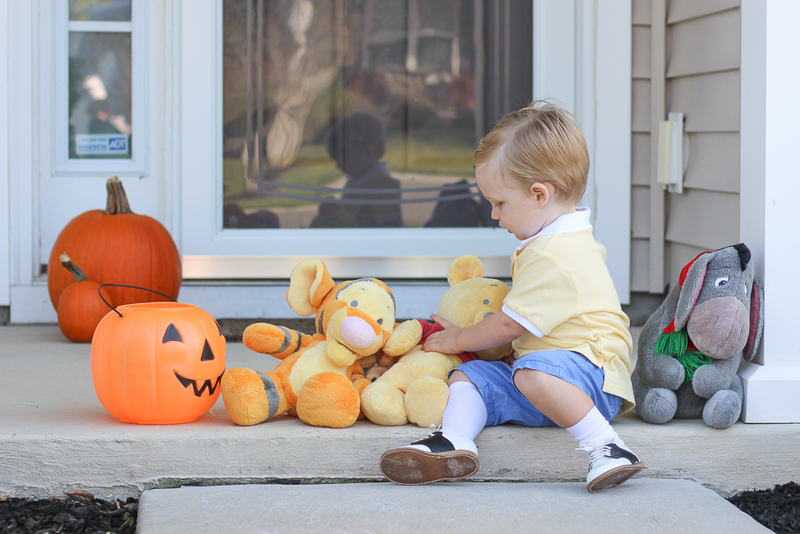 Last year he didn't really understand the concept, yet true to toddler form his Halloween antics were much of the same so I assembled this DIY Christopher Robin costume out of regular clothing and called it a day. It was perfect because A) he loved, and still loves, Winnie the Pooh; B) he was so blonde he looked just like him. ; and C) he has no idea he was actually wearing a costume so there was no fighting over it! That last one is a win in my book. I've had so many questions about this sweet costume so I thought I'd put together the quickest tutorial ever for it, because honestly it was so dang easy to make! Also I should note, this is old school Christopher Robin. None of that new business with the vest and tie. We already had these exact blue shorts for Rowan and borrowed the shoes, so I think this costume cost me about $15 total. I suggest doing this while watching Hocus Pocus on the couch and drinking a large glass of wine, being careful not to spill. 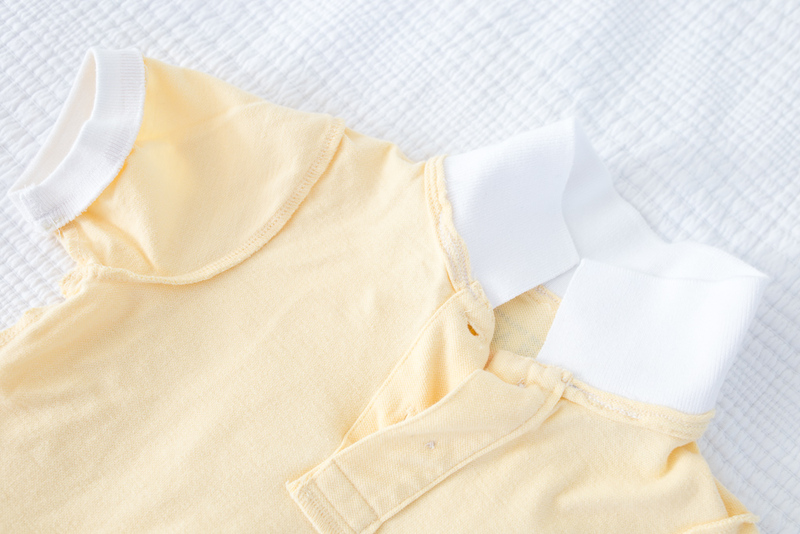 Now, flip your yellow polo inside out and pin the white collar and cuffs to the yellow polo. If you do this correctly (inside out), the seams will be hidden inside of the final polo. Sew all of the seams. The cuffs can be tricky with a sewing machine because they are so tiny, so take your time or hand stitch if you're feeling adventurous. 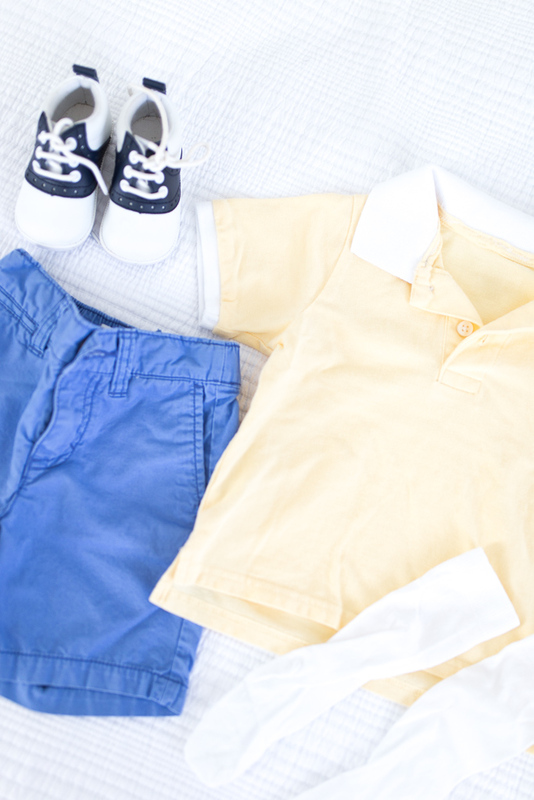 Flip your polo right side out, throw on the rest of your costume and call it a day. Bonus if you have every single stuffed animal from Winnie the Pooh. 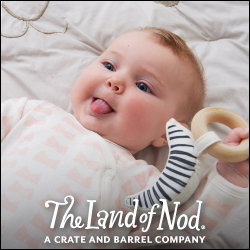 Double bonus if your toddler agrees to carry at least one while trick-or-treating. 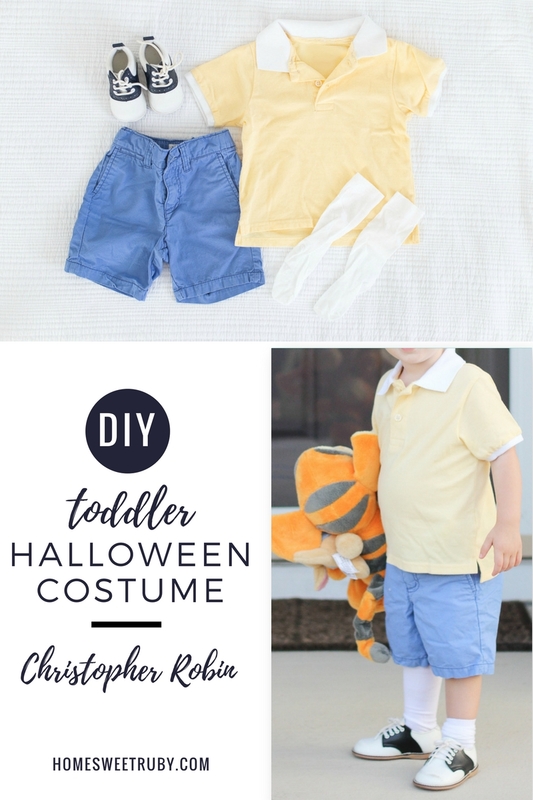 And there you have it, the easiest DIY toddler Halloween costume there ever was! It's so hard for me not to post all of my favorite photos of him in this costume, but you know I like to keep his sweet little face off of the blog so this will have to do! Let me know if any of you have questions! !